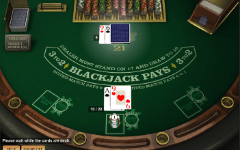 If you are looking to play Blackjack Switch online, you came to the right place. Here you can try this game for free and to find the best casinos to play it for real money. 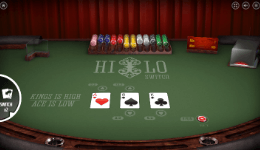 Switch is one of the most exciting and rewarding variants of the classic casino game. 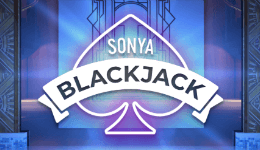 The possibility to switch cards is a dream come true to every Blackjack enthusiast. Here we will focus specifically on Playtech variation, so if you are new to this and want to find more about the history, rules and strategy, please check our main Blackjack Switch review. *Unfortunately, this game is not available to USA players in real money mode. 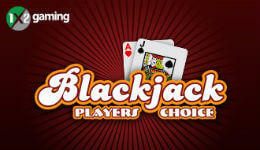 If you are from the states, please check our Blackjack Switch USA page. The rules of this game are quite unique. The main difference is that you will be playing 2 hands simultaneously and have the option to switch the 2nd card between your hands. Naturally, there is a price to pay. First, Blackjack pays 1:1. Second, dealer pushes on 22, except against blackjack. All doubles and splitting allowed. Besides the main bet, you can choose to place a side bet on matching cards between your two hands, a bit like poker. With 0.13%, Blackjack Switch has the lowest house edge of any blackjack game available online. Crazy! Of course you do need to employ the correct strategy. The minimum bet is €/$ 1, but since you are playing two hands it’s actually €/$ 2. The maximum bet is €/$ 200, €/$ 100 per hand. On top of that you can place 100 on Super Match.